Home » Where did The Happytime Murders enter on the US Movie Charts? Crazy Rich Asians took the US movie charts by storm last week and does so again this week remaining at number one taking an impressive $24.8m from 3526 movie theatres. In fact Warner Bros have films occupying positions one and two. Elsewhere there are two new entries inside this week’s top 10 including the dark comedy The Happytime Murders. 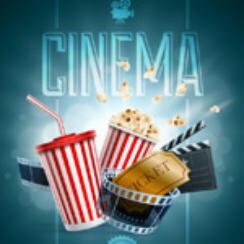 Let’s take a closers look at those box office movies; these are the figures in full for the US Movie Charts August 24 2018. So what was that second placed Warner Bros movie? Well it’s The Meg starring Jason Statham, it managed $12.8m from 4031 theatres, that means it’s now taken over £100m in the US alone. Time now to look at the new entries, the highest new film is black comedy The Happytime Murders starring Melissa McCarthy. This one took around $9.5m at the box office. The one other new entry inside the top ten is drama A.X.L. which lands at nine taking just under $2.8m which isn’t too bad as it only appeared in movie 1710 theatres. Tom Cruise’s Mission: Impossible – Fallout holds firm at four with gross to date figures of just under $194m from the US box office. Two new movies that failed to break into the top 10 include Papillon (16) and Searching (22) with the later only opening in just nine theatres. Beware the trailer for The Happytime Murders is NOT suitable for younger viewers as it contains adult themes.